National Novel Writing Month is in full swing. I have 30 days in which I can do nothing but write, write, write. The wheels are turning in my head, and my new story is flowing at a slow but steady rate. I know who I am writing about, and I know what his story is. I know what the action is and where it goes within the framework of the novel. My only problem is I can’t key fast enough. When I do key fast it becomes illeggiebble…illegeabngle… . 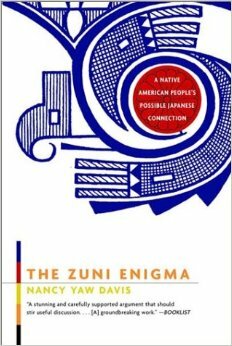 Anyway I have just received my newest textbook, The Zuni Enigma: A Native American People’s Possible Japanese Connection, written by Anthropologist Nancy Yaw Davis. 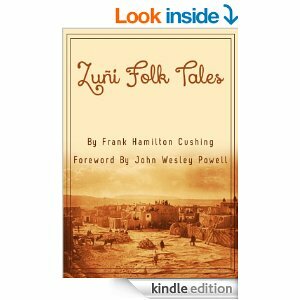 I have found some wonderful legends in the small book, Zuni Folk Tales, by Frank Hamilton Cushing. This book is an incredible departure for me. Not only am I working in a world that exists in reality, I am working with a culture that is both known and unknown to me, and I must do it with respect. This novel is a historical fantasy, but it is set in the 1890’s. 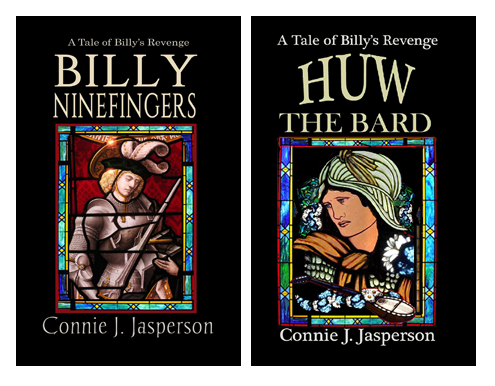 I have to remain true to the period, to the two cultures this tale depicts, and I have to make my character real. What makes this even more tricky, is I am telling this story from the perspective of the main character–something I have not done before. But this tale is a diary in a way about one man’s journey, and the duality of his path in life. It is a stand-alone novel, and while it is definitely fantasy, I think it will be more of a literary novel than Genre Fantasy. The Zuni are a private, mysterious people, and rightfully so. This makes it imperative that I know what I am talking about. 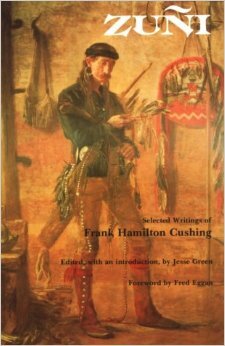 Fortunately have been immersing myself in the Zuni culture through the work of early anthropologist Frank Hamilton Cushing. 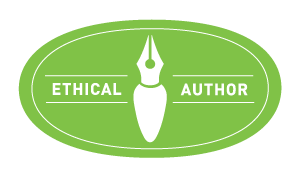 My goal is to honor these amazing people, respect their privacy and maintain their mystery, and entertain my readers. The story is amazing–if only I can get it right. So this would be a Western? Southwestern? And don’t forget to check China’s admiral Zheng He whose fleets reached the Pacific coast in the 1300s? And Mormons have the lost tribes of Israel explanation for southwest tribes. And then there is the alien explanation, which I prefer. Nancy Yaw Davis’s book explores the evidence supporting the Asian migration, in depth, and in a very small font–I have to use a magnifying glass to read this, but my notes are growing exponentially. Pacific Coast tribes have long understood that people came east from Asia in boats long before Columbus went west–their traditional stories reflect this. I have heard of the Mormon idea, and I have a textbook on that too, oddly enough. Stephen–we are the aliens. Just sayin’. Very cool. Good job on the research! Thank you–it’s keeping me out of trouble! Sounds as if it will be an incredible novel, Connie. I can’t wait to read it! @JD Hughes — I will have the basic structure done by Nov. 30 th I hope!